Commvault provides a truly enterprise capable business software suite that brings to Defence a single information management and data protection open platform. Commvault has been recognised by Gartner for 6 years in a row as the global leader in data centre backup and recovery. Commvault has an extensive footprint in the Australian Public Sector market, including the Department of Defence. Commvault provides enterprise business software that delivers to Defence a single information management and data protection open platform which: orchestrates backup and recovery, archiving and information life cycle management; manages server and storage virtualisation; delivers encrypted end point protection; provides for duplication of data sets; incorporates a comprehensive search capability that, irrespective of where data resides, securely delivers users with granular and analytical access to their data so that value can be easily extracted and turned into business valuable information. 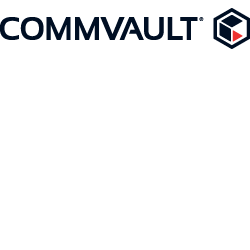 Commvault provides encrypted end point data protection. Commvault provides a truly enterprise capable business software suite built on a single code base. This means that Commvault’s unique value is that of a truly integrated information management and data protection open platform. Commvault is not the result of an acquisition strategy where disparate software packages are cobbled together in an attempt to present a unified system. Commvault is functionally rich, technically stable, and extremely well supported.